Vic Provincial Winning Mare - Winner Of 3 Races - Currently Rated 57 In Vic!!! Red Gucci is a 5yo mare that has had the 24 starts for 3 wins and 6 placings and is currently Rated 57 in Vic. 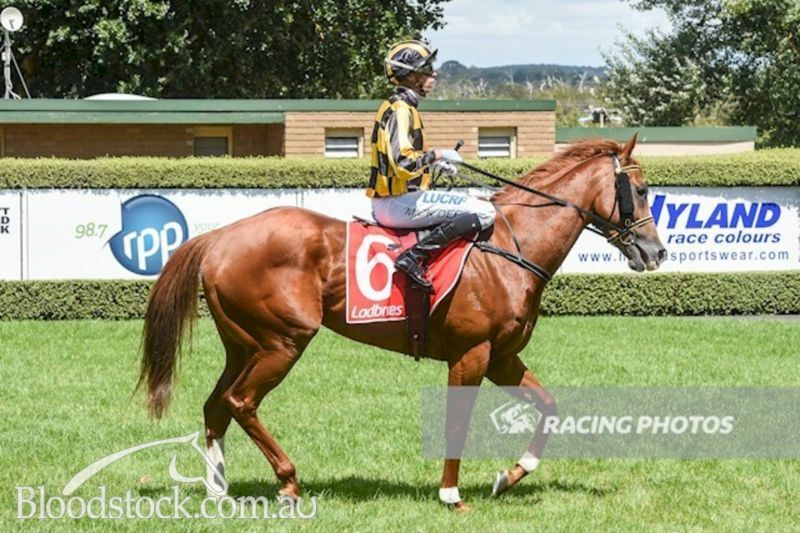 She won her races at Mornington 1200m, Wangaratta 1170m and Donald 1000m but has also placed at Pakenham, Geelong & Mornington which are the stronger Provincial Tracks in Vic. This mare is easy to handle around the stables but does switch on come race time. She would be the perfect horse for a buyer who is looking to purchase to race her in weaker grade out of Victoria. REDENTE (AUS) (2006). Unraced Sire. Brother to Starfish (MRC Silvermoor H.), dam of Wolf Cry, Glenbawn Dame and Deep Image. Half-brother to BRILLIANT BISC (ATC Gimcrack S., L, 3d ATC Widden S., L), Moon Fever (3d MVRC St Albans S., L), Stella Regale (City Tatt's RC Rose of Tralee H.) and Equivocal (SAJC Allan Scott Park Morphettville H.) and to the dam of DASHING FELLOW and AERONAUTICAL. Sire of 78 rnrs, 44 wnrs, inc. Beautiful Bee, Billabong Babe, Redentes Edge, Stella the Boss, etc. Dragon Artist (f by Town of Dragon) 4 wins to 1150m, A$86,254, to 2017-18 in Aust. Red Gucci (f by Redente) 3 wins. See below. 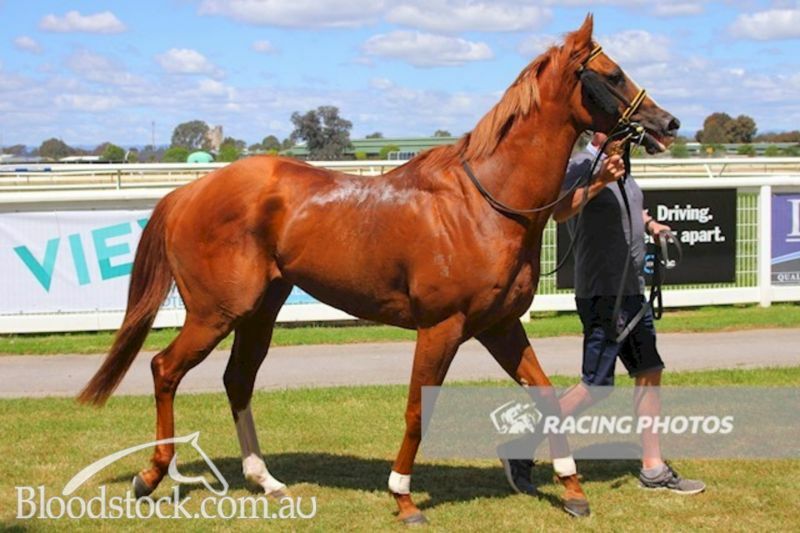 Stark Luck (g by Redente) Winner at 1200m in Aust. Secret of Winning. 5 wins at 1000m, HK$3,144,425, HKJC Canal H., Diamond Jubilee Challenge Cup, Cypress H., Lam Tin H., Lai Kok H., 2d HKJC Chiu Lung H., Pitt H., Hyderabad H., Dongcheng District H., Violet Hill H., John Peel H.
Roma Point. 10 wins from 1200m to 2400m in Aust. Gleneve. 9 wins from 1200m to 2100m in Aust. Duke Greg. 7 wins from 1200m to 1700m in Malaysia and Singapore, Singapore TC Benchmark 40 H., 2d Singapore TC Class 5 H.-twice, 3d Singapore TC Benchmark 40 H.-twice, Class 5 H.-4 times. Falvelizabeth. 7 wins to 1300m, BRC BMAG H., 2d BRC Mitty's P.
Genuine Lady. Winner at 2100m in Aust. Dubitare. Winner at 1000m in Aust. JULIA (f Frontal) 2 wins at 1000m, 1600m, Manawatu RC Eulogy S., Gr.3, 2d New Zealand One Thousand Guineas, Gr.1, WRC Desert Gold S., Gr.2, Oceania H., 3d Masterton RC Lowland S., Gr.3. 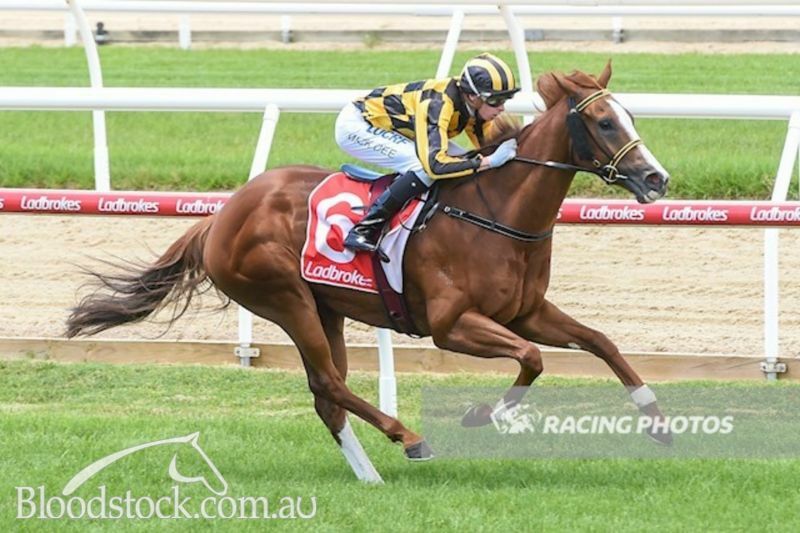 GLACIER PEAK (c Half Iced) 8 wins-1 at 2-from 1200m to 2050m, A$167,980, Pinjarra Guineas, L, MVRC Yuletide H., Mount Alexander H., VATC Clive Leonard H., 2d VRC Carbine Club S., L, VATC Show Day S.H., L, Trenton H., Vo Rogue H., 3d NSW Tatt's RC Tramway H., Gr.3, VRC Changi H., Alan Bell H., BATC Doomben Classic S., MVRC Moreland H., 4th Pinjarra RC Millionaire Sires S., Gr.3. Hallstrong (c In the Purple) 8 wins from 1300m to 2650m, A$105,085, VRC Birthday H., Shaggy Ridge H., Kentucky Derby Day Trophy H., MVRC Four'n Twenty H., Inverness H., 2d MVRC Amana H., VATC Woodcliff H., 3d VATC Easter Cup, Gr.3. Lady Mantice (f Sir Tristram) 3 wins. See above. Pakisigh. 16 wins-1 at 2-from 1000m to 1650m, A$114,870, BATC Castlemaine Dry H., 2d QTC Scomeld H., BATC D Line H., Channel 10 H., 3d BATC Gunsynd H., Courier Classifieds H., QTC Carlton Cold H.
Whirl the Baton. 6 wins from 1250m to 1900m, A$99,736, STC Japan Racing Association Welter Cup, CPI Papers H., Ranvet H., 2d AJC 3YO H., Fred Cush Welter H., STC 2YO H., Handicap-twice, 3d STC Tall Poppies Restaurant H.
J'Jackson. 6 wins at 1200m, 1400m, Manawatu RC Ashhurst Pohangina Cup, Marton JC Nufarm H., Wanganui JC Chronicle H., 2d Manawatu RC Skywards Duty Free H., Marton JC Richards Construction 3YO H., 3d Hawkes Bay Nissin King Partsworld H., Manawatu RC Awapuni Veterinary Services H., Marton JC Rangitikei Tavern H.
Strike Terror. 7 wins from 1400m to 2000m in Korea, Seoul Sports Seoul Cup, Sports Today Cup, 2d Seoul Grand Prix, Minister Cup, SROA President Cup, 3d Seoul SBS Cup. SIR KINLOCH (g Rhythm) 10 wins from 1200m to 1600m, NZ$233,293, WRC Thorndon Mile, Gr.1, ARC Esquires Coffee Houses H., Body Bronze H., WRC Royal NZ RSA H., ARC Sunday Star-Times H., Bruce Dell Law H., Winstone Gypsum Turf H., Kings Arms Tavern H., 2d Waikato RC Ag & Turf Sprint H., L, 3d ARC Highview Stud Trophy, Gr.2, Rotorua RC Lion Red P., Gr.3, BOP RC Tauranga S., Gr.3. LIVE THE REALITY (g Senor Pete) 9 wins from 1400m to 2000m, NZ$128,325, CJC Spring Classic H., L, 3d New Zealand Cup, Gr.2. CLASSIQUE IVORY (g Savabeel) 7 wins from 1200m to 2300m, A$315,370, Kalgoorlie Cup, L, Bunbury Cup, L.
JEREMIAD (c Octagonal) 8 wins-1 at 2-from 1300m to 2000m, A$407,375, AJC Japan Racing Association P., L, 3d AJC Villiers S., Gr.2. SOLILOQUY (f Dubawi) 2 wins-1 at 2-at 7f, 1m to 2018, Newmarket Nell Gwyn S., Gr.3, Ascot Lavazza Fillies' 2YO S., 2d Newmarket TRM Excellence 2YO Fillies' S., 4th Irish One Thousand Guineas, Gr.1. SCARF (g Lonhro) 9 wins to 1500m, £30,710, A$376,100, 100,008Dhs, ATC Winter S., L, Newbury Dubai Duty Free Cup, L.
CHIVAS REGAL - ALL-WINNERS (H.K.) (c Straight Strike) Second top colt on The 1989-90 NZ 2YO Free H. 8 wins-5 at 2-to 1200m, NZ$93,800, HK$2,317,647 in NZ and HK, ARC Eclipse S., Gr.3, Matamata RC Slipper S., L, ARC BNZ Finance Juvenile H., 2d ARC Great Northern Foal S., Gr.3. SAKURA EIRYU (c Dai Koter) 4 wins, Fukushima Tanabata Sho, L, Nakayama Stayers S.
Race Record: 3 wins to 1200m to 2018-19 in Aust. (18.7) Camperdown TC Crownbet Maiden P., A$32,000, 1000m, time 0:59.96. Track good(4). Carried 56.00kg. I Got Shivers was 1st and Dominant Way 2nd and Stella Effort 3rd. Trainer: Saab Hasan. Owner: L Murphy, J Cetraro, S Johnson, D K Woodsford, D Briffa, Ms L Sanvincenti, J Xu, M Durant, D Beever, Mrs E Beever, M Scott, B Neville, M T M Saddle Bag Racing (Mgr: M Schwartz), Sh. Jockey: Jordan Turner.